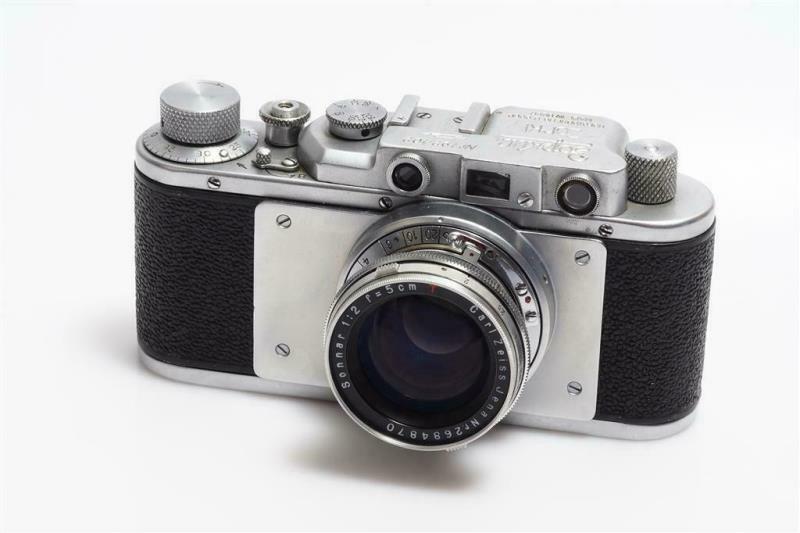 I love these modified cameras... Not a fake, just a Zorki with a beautiful wartime 2/5cm Sonnar. And a lens plate which looks like a TSVVS's. But interesting -No outer bayonet! Yes, I also wonder about the absence of depth of field scale. It would have been easy to engrave on the lens plate, like for the TSVVS. The plate is self made, most likely milled from billet. And TSVVS has only served as a model. Eg the cone on the plate is different,it is easy to compare as I have my TSVVS here. Lens mount is from a very late Contax (series O). Mount shows the 'blue dot' (near '6').